light a candle. The smell of candles in general are wonderful.. but the smell of a Christmas candle just can't be beat. 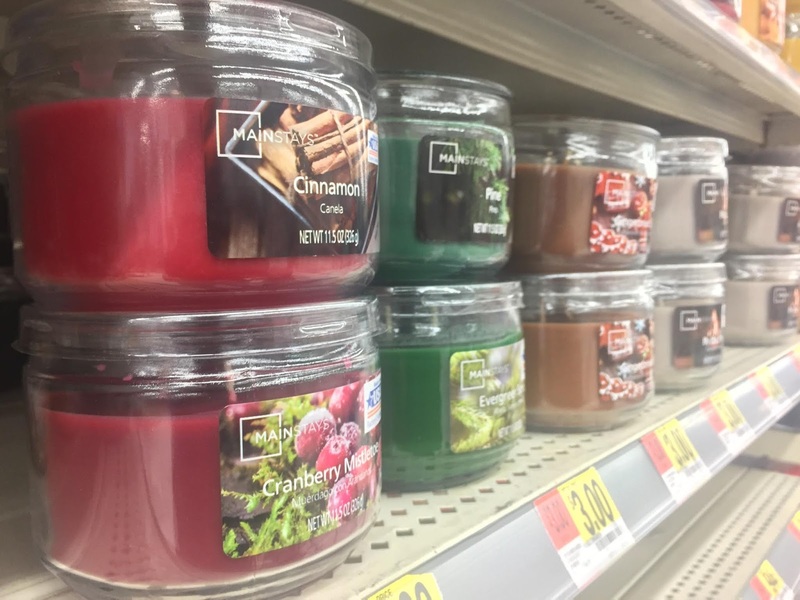 Recently I found some a great deal on candles at my local Walmart. They are a very decent size and only $3.00. The smell lingers in my bedroom long after I've let my daughters blow them out. Its only been a week and a few days and I've already burned through one of them. I'm literally typing this sitting here with my second one lit as we speak. My personal favorites are "ginger bread spice" and "cranberry mistletoe". So if you're looking for the smell of Christmas you just found it.